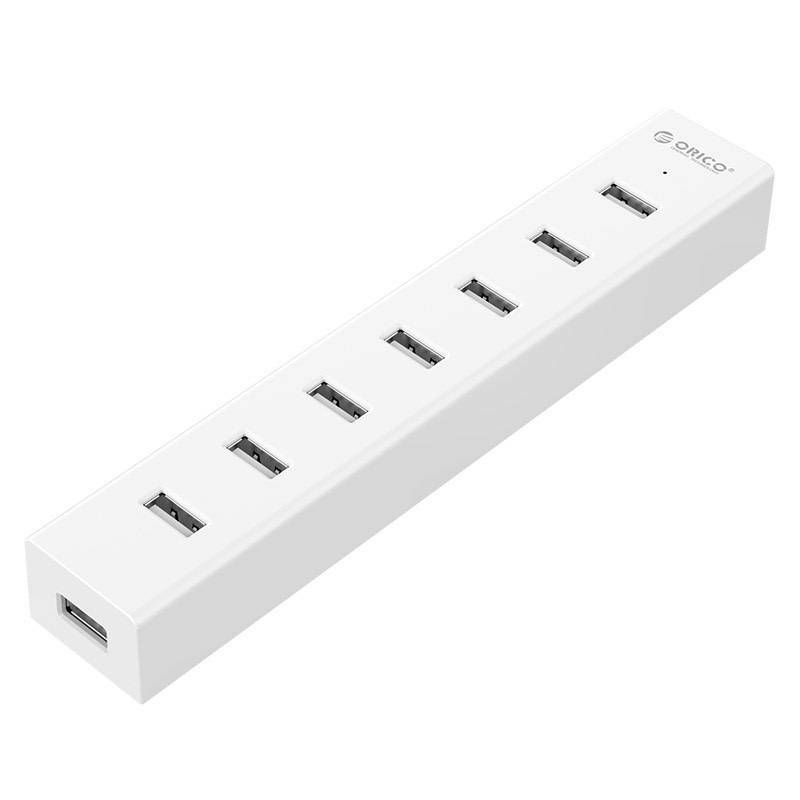 Orico H7013-U3 7 Ports Portable Super Speed USB 3.0 Hub 7 Tablet HUB expansion (White) - NWCA Inc.
Orico H7013-U3 connect up to 7 USB 3.0, 2.0, or 1.1 devices to a single port on any USB 2.0 or 3.0 capable computer. To eliminate the need of AC Power adapter and delivers great portability, H7013-U3 is now equipped with USB charging cable for better mobility and ease of use. It is ideal for laptop, Ultrabook and Tablet PC or PC. * Chipset: VIA812 * 2 delivers fast and reliable data transfer performance. * USB 5V/2A Cable within package for extra power when needed. * LED light indicates Power and Activity status individually. * Dimension: 135mm*31mm*24mm; Net Weight: 100g. * Windows: 2000/XP/Vista/7/8 (Both 32-bit & 64-bit versions). * MAC: OS X 10.2 or above. * ORICO H7013-U3-WH Hub x 1. * USB 3.0 data cable x 1. * USB 5V cable x 1. 1. Hub would power directly from computer at normal circumstance. For high-current consumption devices, we strongly recommend to power it via the 5V/2A USB charging cable provided in package. 2. 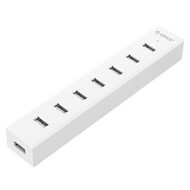 This hub is not designed to serve as a standalone charger. 4. Some USB 3.0 devices, such as the Apple SuperDrive and certain USB 3.0 hard disks, require a direct connection to your computers USB 3.0 ports. 7 LED lights to indicate the power and activity of eash USB port. CE & RoHS approval with 1 year manufactory warranty.